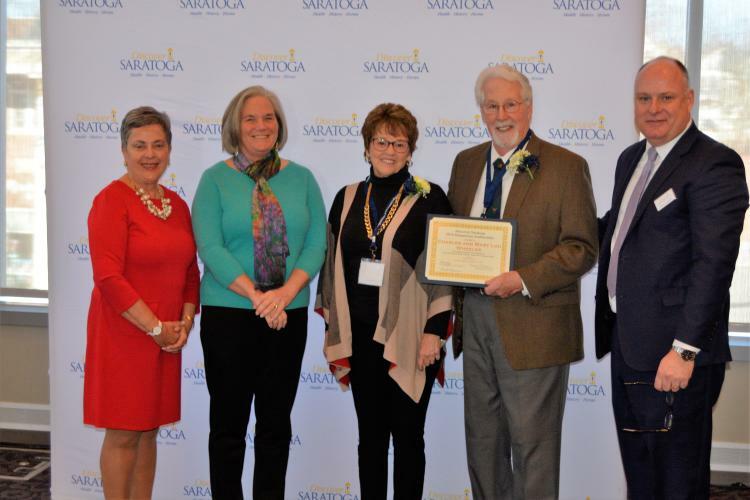 SARATOGA SPRINGS— On Tuesday, March 19, Discover Saratoga held their 34th Annual Meeting and Breakfast at the Saratoga Springs City Center. 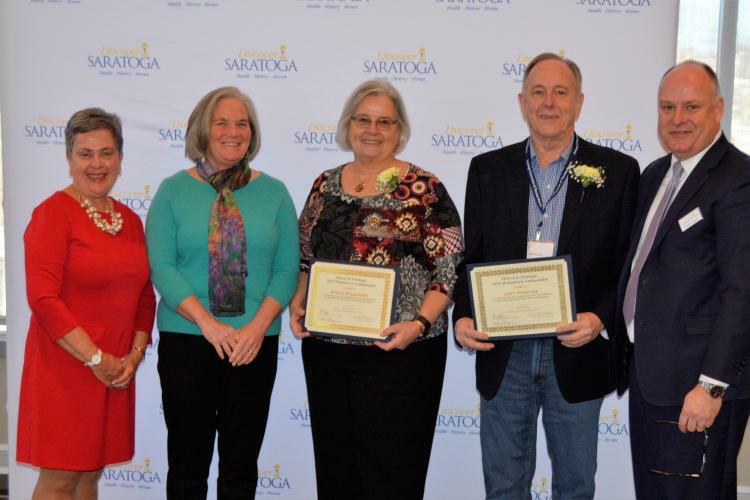 In addition to highlighting the successes of 2018 and initiatives for 2019, the team announced the 2018 Discover Saratoga Hometown Ambassadors and volunteers of the year. New members of the board of directors and executive committee were also welcomed at the meeting. A crowd of 150 members, government officials and past chairs attended. Volunteers of the year were also honored. 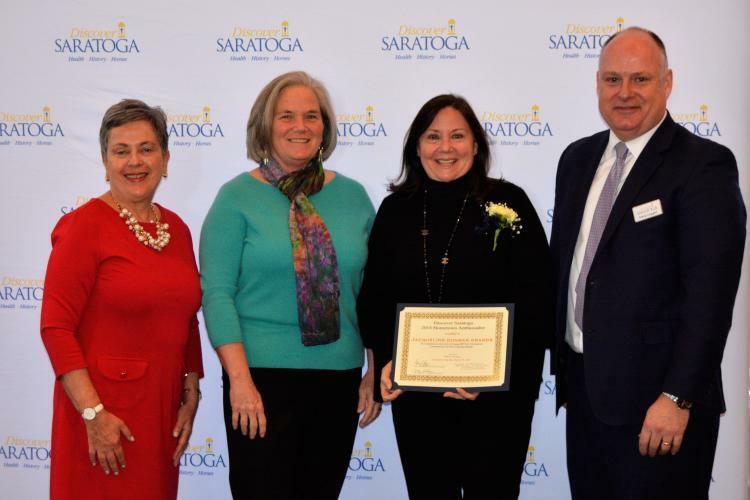 Noreen Baker was recognized as Discover Saratoga’s volunteer of the year, and Warella Browall was awarded by the Saratoga Springs Heritage Area Visitor Center. 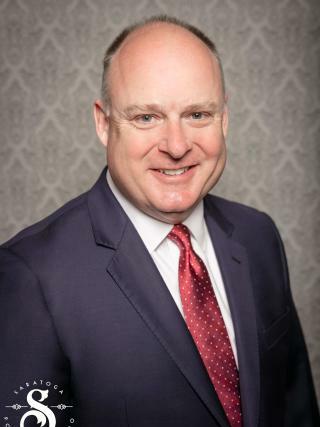 Dan Fortier, of Embassy Suites by Hilton Saratoga Springs, announced the 2019 board of directors. 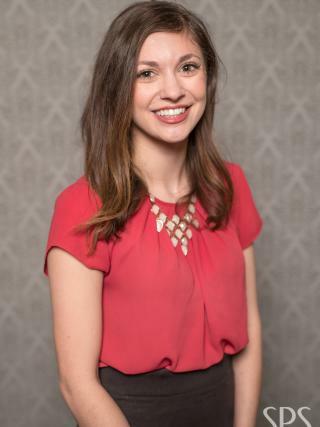 New candidates include Samantha Bosshart (Saratoga Springs Preservation Foundation), Michele Desrosiers (Saratoga Performing Arts Center), Teddy Foster (Universal Preservation Hall), Thomas Olsen (Saratoga Hilton) and Alex Tucker (Saratoga Casino Hotel). 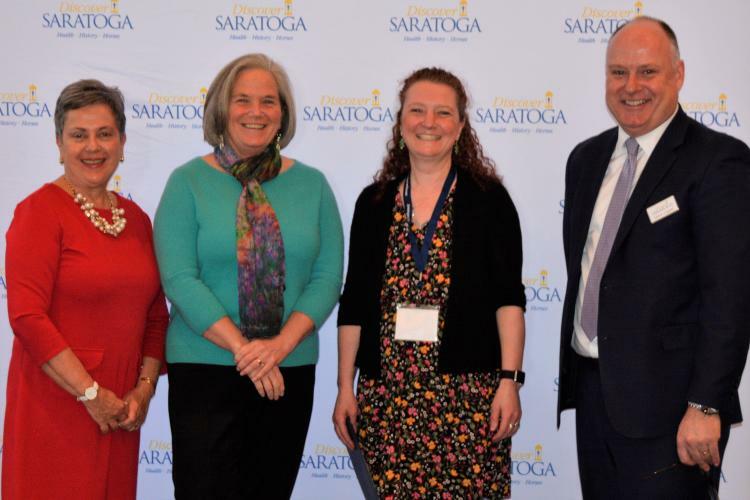 The following candidates were elected to serve as officers: AJ Bodden (Albany Broadcasting) as chairperson, Cindy Hollowood (Saratoga Springs Holiday Inn) as immediate past chair, Dan Fortier as in-coming chair, Megan Hennessey (Saratoga Automobile Museum) as treasurer and Amy Smith (Saratoga Arms) as at-large officer. 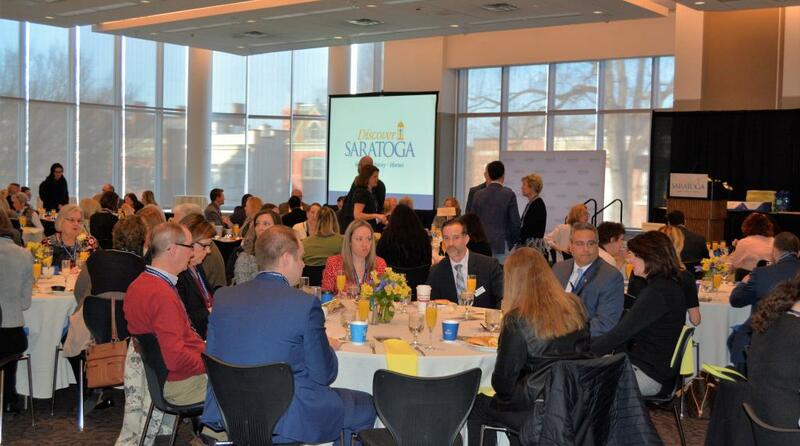 See the full list of Discover Saratoga Board of Directors here. The Saratoga Convention & Tourism Bureau (DBA Discover Saratoga) was incorporated in 1985. 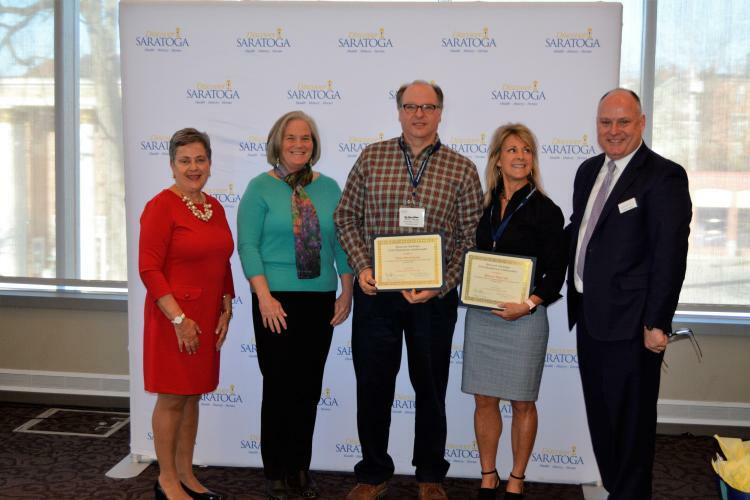 As a key economic driver of the community, the mission of the organization is to contribute a positive impact on the local economy by positioning and marketing Saratoga Springs (and Saratoga County) as a world-class destination for meetings, conventions and groups. As an independent 501-c6 non-profit organization, the Bureau is responsible to a 20-member Board of Directors who represent the membership of over 500 local and regional businesses.